Play Raging Rhino Slots | Up to £500 Bonus! 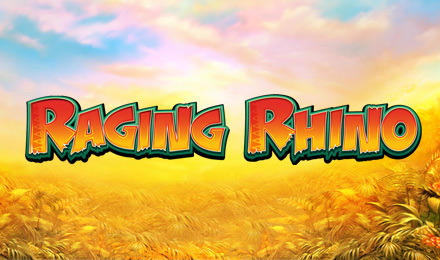 Join the African jungle adventure with the Raging Rhino online slots game at Vegas Spins! The game features 6 action-packed reels with African wildlife, African Tree Wilds, Diamond Scatters, Free Spins bonuses and 4096 ways to win! Explore the African jungle and join the epic Raging Rhino online slots game adventure at Vegas Spins! Move to the rhythm of the African drum beats and power through the 6 action-packed reels filled with African wildlife, including raging rhinos , leopards, crocodiles and Gorillas. Watch out for the African Tree Wilds, which can substitute for other symbols and double your wins. If you score the rare Diamond Scatters they can lead you to the Raging Rhino's Free Spins bonus round, and open up 4096 rewarding ways to Win!